6 Oct 2018 – Under a midday blazing sun in Kampala, we are driving hesitantly over the newly paved roads of Nsambya and Katwe suburb. A pedestrian signals us to stop and ask; “are you looking for the Congolese place perhaps?” I nod, stunned. We are soon into the compound of «Centre Scolaire Congolais”; a dusty ground that comprise a rustic main house and surrounded by droopy wooden classrooms. In the corner-end of the courtyard a big tent with the inscription “Norwegian Refugee Council” beside a huge mango tree under which a group of men, women, and children are palavering. As we reached toward the group, Mr. Joyeux, an advocate and activist announced; here is our visitors! Everyone gets up and greet us enthusiastically and surprisingly as if we were longtime acquaintances. The Congolese Refugees community welcomes us under its Baraza. The Baraza, a Kiswahili word that means a place where people meet to chat, exchange ideas, and solve problems. Uganda had become the third largest refugee-hosting country in Africa, after Ethiopia and Kenya, with more than half a million refugees. Uganda is credited as for it refugee response management. For example, it already has land, which has been designated for refugees before they even come. In addition, the refugees have relatively freedom of movement around Uganda. They can seek employment; they create business and this opposed to so many other countries, which require refugees and asylum seekers to stay in camps all the time. Throughout the last two years and recently, thousands of Congolese refugees have crossed to Uganda breaking away from fresh violent clashes in eastern Congo especially in the Kivu and the oriental regions. The government political crisis that delayed the electoral process and the unsure peaceful transition of presidential leadership saw the seeds of the current crises conditions with thousands of civilian life lost. This often-vast population journey to seek refuge in Uganda has been challenging. Many are been settled in western Uganda and others have decided to reach Kampala, the capital. These refugees are from various ethnic communities but with one aim of survival and recovery after escaping inconceivable cruelty in the hand of various armed groups marauding the conflicts-ridden region of eastern Congo. We visited the refugee community while they were preparations for their leaders and representatives elections. Invited as some observers of sort, the members of the refugee community wanted to meet and share with us about their plight as forced displaced people but also to witness their everyday challenges and achievements. Under the gathering, the moderation was led by madam Chantal Mwanzo, one of the women leader and member of the council of elders among the urban refugees in Kampala. The participants individually and collectively voiced their concern about the lack of food. “We struggle to cater for our families. Seventy percent of our households can afford by chance in average one meal per day. There is no adequate accommodation”. Say madam Chantal. Urban Refugees use their own mean to pay rent. The monthly rent is not easy to get and that is why they can only afford small rooms despite the size of the household. The families’ subsistence lie almost exclusively on women shoulders: they hawk jewelry, they cook pancakes, they are tailors, and they do micro-trades such us selling second hands clothes, washing people’s clothes, helping in domestic work, while men have no possibility to get jobs because of the high competition and discrimination on the work market. The health services system in the country are to be desired. The refugees or the host counterparts do not get medicine or adequate medical support. The women face many death-treating problems during maternity. Many children are dying over curable diseases such as malaria because of lack of good service delivery. A member in the public retorts. There is a case of one member came with his medical documents in protest and desperation as he beg us to witness his predicament. Hopelessly exhibiting his injured and rotting left leg; a result of a road accident, later kidnapped from the hospital and at the end left in the lurch by the culprit. We met another mother who presented to us her nine-year-old boy who stopped talking for five years now after witnessing the killing of his siblings and father. Another example is the elderly group and the people living with disability sought for a special interest towards them since they are often among the people most neglected by the stakeholders or commonly named here the “refugee regime”. The UNHCR implementing partner, InterAid, has only five staffs who attend to the medical needs of almost 40,000 urban refugees. There is also communication difficulties. The language barrier has been a major obstacle in dealing with refugees’ health. When they fail to communicate, the nurses and doctors treat them according to what they assume they are suffering from. 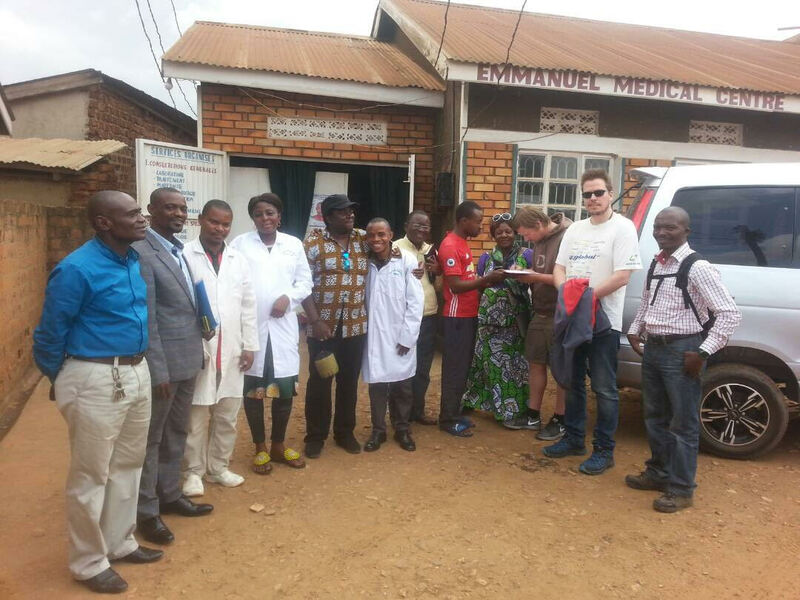 The refugee community tried to remediate this situation by creating a health center named the “Emmanuel Medical Center” which we visited in the middle of Katwe, a fifteen minutes distance from the Congolese school. The Emmanuel Medical Centre received many refugees out of it capacity. The refugees prefer to seek treatment at the Centre because of the many challenges they face when they go to the public hospitals namely: lack of medicine, negligence by the medical staffs, language barrier, discrimination and the long distance or transportation. The doctors and nurses at the Centre are themselves refugees. However, the financial capacity of the medical Centre is limited, no availed direct funds and it operate from the scarce community members’ contribution. 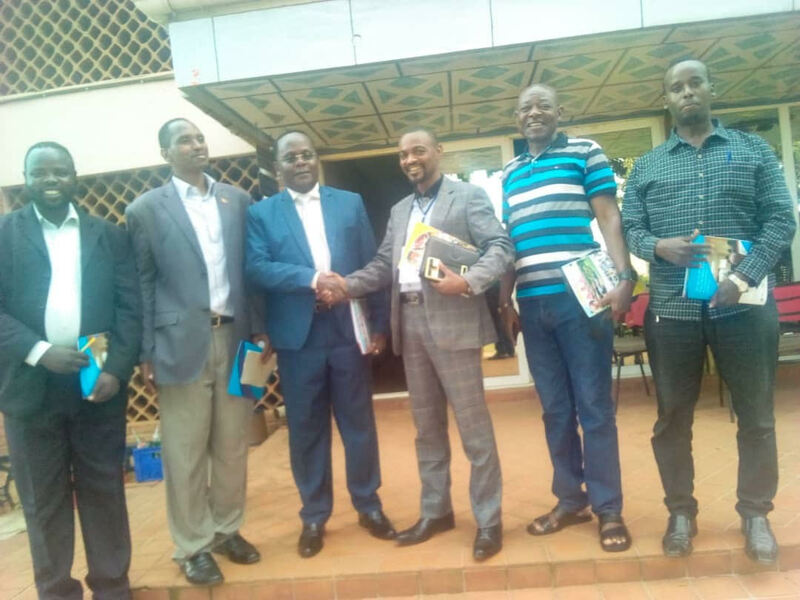 The members sought for a financial support to the Emmanuel Medical Centre in order to get a drugs store, the increase in number of staffs and the center’s equipment. Already the center has a scanner without printer. Above all the center must pay its ever-increasing monthly rent. When it comes to education; the average number of children by refugee family is six and among them, only two are likely to be attending the school. Consequently, an estimation of three thousand children are not in schools because there is no means. In theory in Uganda, primary education is free of charge under the UPE (Universal Primary Education) program. However, in reality, the education is payable and parents pay school fees for their children in public schools as well. Considering the fore mentioned facts, the youth delinquency, the economic exploitation of the children, the phenomenon of street children and the sexual exploitation of minor children have increased systematically. It is also in that spirit of solidarity and community oriented solution that the “Centre Scolaire Congolais” was created. The school follows the curriculum of the education program in Congo; the teachers who fled the war in Congo themselves help educate the children. However, the challenges they face is the reduced daily attendance of children because of the lack of money and foods since their parents are refugees. Refugees have no jobs. 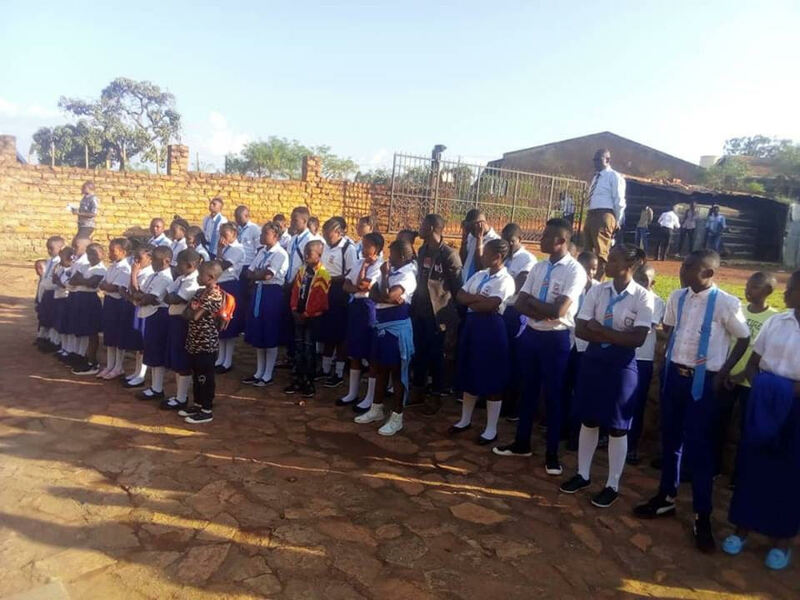 As a solution to this problem, the members sought for a financial support in terms of monthly allowance to the teachers of the Centre Scolaire Katwe, which will alleviate the burden for the parents in paying the school fees. Facing this situation, the Congolese refugees themselves have been working hard to overcome the challenges they face on a daily basis. Beside the school and the medical center, they succeeded to mobilize all the members and try to gather them under one umbrella with several project. The community is organizing trainings in different areas: members are trained on how to make soaps, hair- dressing, and the care for the children out of school, which take place every Wednesday. When asked about the future, the people talked about the slow procedure to grant durable solution to refugees in Uganda. A refugee would spend from eight to twenty years without knowing his fate whether the possibility of resettlement or voluntary repatriation because it is the only hope of durable solution that is possible according to this refugees. Nevertheless, their answer is “we want to live free from fear, in peace and dignity. We do not want to run anymore.” The community would like to get a vocational training Centre where members can be learning works like: tailoring, catering, handcraft, and business. They want to acquire computer skills and language literacy. The community have shown it organizational leadership skill, which they would like to confirm by now organizing elections. 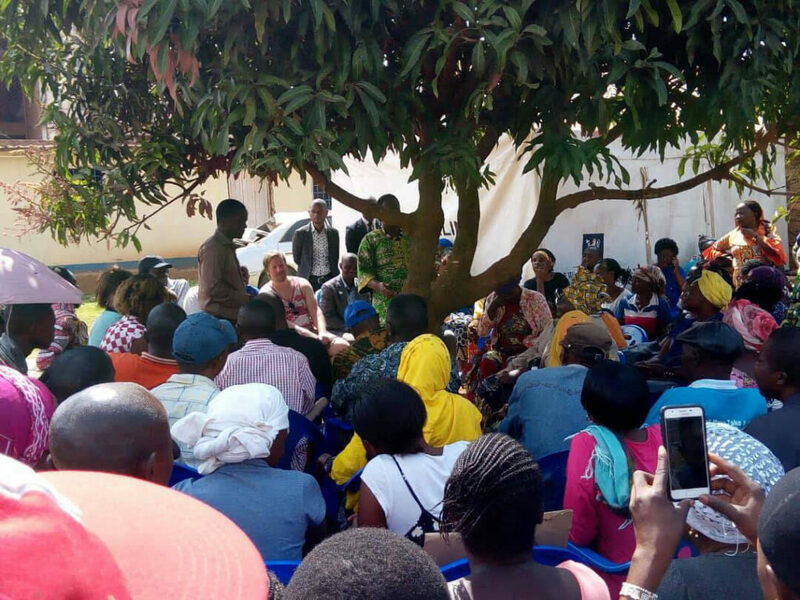 After the meeting, the community leaders sensitized people about the elections that were to be held on 27 August 2018 and explaining the importance of their active participation. 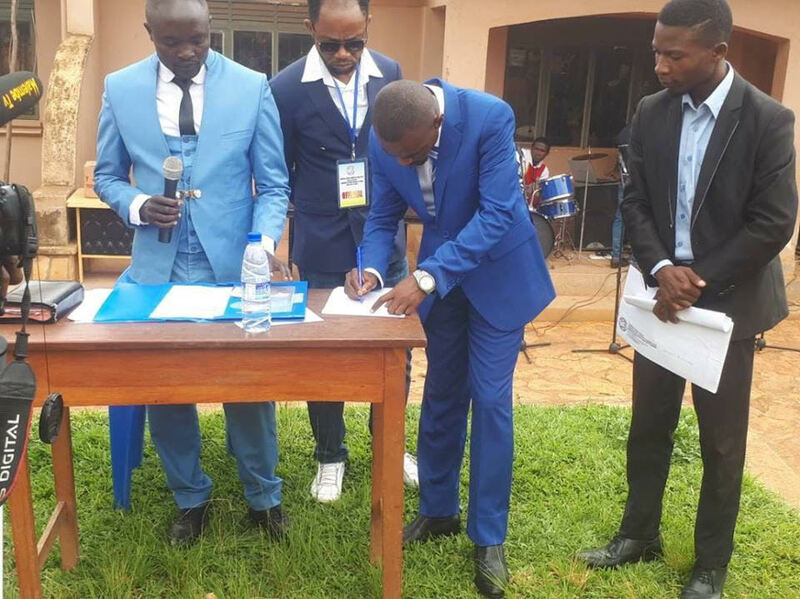 Two candidate were contesting as president of the Congolese Refugees Community in Uganda, namely Mr. Douglas Bulongo Zekundu and Mr. Robert Hakiza. People were encouraged to elect a candidate of their choice based on the nominee projects for community and without any internal or external pressure. As it well known among the refugees that earlier some NGOs, Organizations and individuals have tried to influence the outcome of the elections. The members promised to be calm and peaceful during the elections. Meanwhile back home, the Democratic Republic Congo seems to slide back to more uncertain democratic future, but it-scattered folks beyond its borders, here in Uganda, have shown to the world their aspiring dream where men and women are full participants in guiding the life of their community and determining its governance. 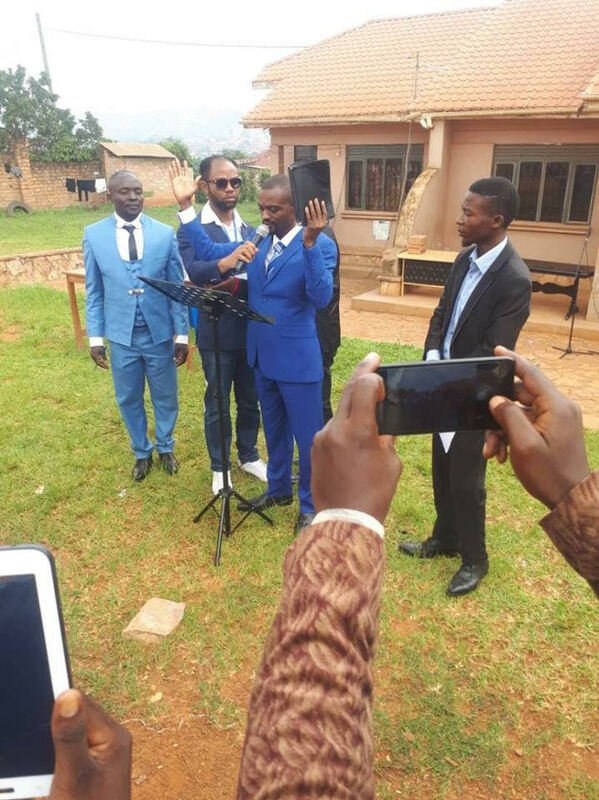 The Congolese Refugee Community in Uganda elected Mr. Douglas Bulongo Zekundu as its president. The issues of education, health, security and development projects for refugees have been the focus of his campaign. He promised the community that together with the Executive Committee, he would spare no effort for his unwavering contribution in terms of advocacy to find answers to the challenges that affect the refugee community. Anticopyright: Editorials and articles originated on TMS may be freely reprinted, disseminated, translated and used as background material, provided an acknowledgement and link to the source, TMS: Building Resilience Far from Home: Communal Democracy Practices amongst Urban Congolese Refugees in Uganda, is included. Thank you. Hello dear Author. Thank you for this publishing. I wish I was there when you conducted that visit to the Congolese Refugee Community office on that day. I am so excited to read this. I hope that our voices will be heard worldwide. I am so happy that you have personnaly experienced and heard from the Refugees, what they face on the daily basis. These are really challenges. Of course the existing humanitarian organisations can not handle widely those challenges for the various reasons aforementioned. I believe that supporting efforts that have been made in this community may help other humanitarians to fill the gape as much as possible. This Community can help many people even those who have never attended to the traditional organisations that work for them. This Community has capacities to do better. The recent experience is the democratic and peaceful electoral process yet held without any inconvenience. People expressed themselves freely, no threats of insecurity, no restrictions of freedom of opinion as recognized by the Universal Declaration of Human Rights. Vice-Chairman of Elders Council/Congolese Refugees Community Uganda. This is just amazing, I like the way you narrate what happened while you were in Uganda without missing a point. I wish you continue making the voice of Congolese refugees heard there. Thank you for sharing this profound story about Congolese refugees coming together under incredibly difficult circumstances to find ways to work on meeting the community’s needs. Blessings to all.